Based on the above evidence, the production and use of wine in the Book of Mormon is not problematic from a historical standpoint. Without more information, however, it is impossible to be certain what kind of beverage “wine” meant in the Book of Mormon. It is likely that many, if not all, of these fermented beverages were known and used by Book of Mormon peoples, and “wine” may very well have been a catch-all term for all the varieties of alcoholic drinks available to them. Still, being aware of the different possibilities invites questions perhaps never before considered. For example, visualize that sacred moment when the risen Lord asked the disciples to retrieve both bread and wine for the sacremant (3 Nephi 18:1–3, 8), and then shortly thereafter Lord Himself miraculously provided wine and bread for a second performance of that sacred ritual (3 Nephi 20:5–8). 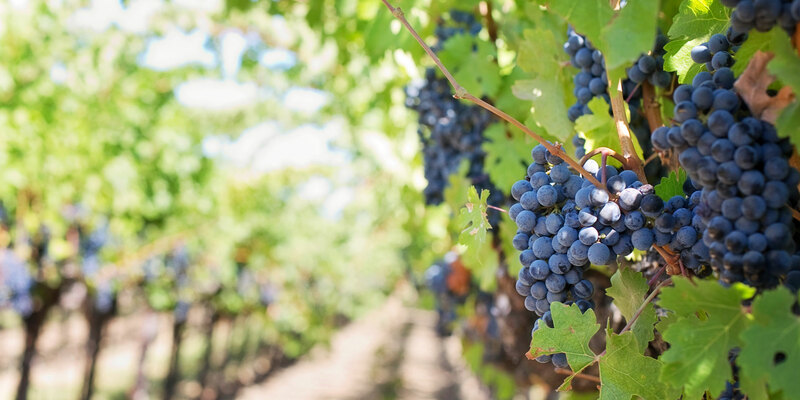 Was the miraculous wine from the Savior the same variety of wine the disciples brought? If not, why not? Although speculative, one possible answer is that perhaps the available native wine did not strongly enough symbolize the blood of Christ.10 While accepting the disciples' humble offer the first time, for the second occasion Christ may have chosen to miraculously produce traditional red wine from the Old World in order to more strongly convey to them His important teaching, “he that drinketh of this wine drinketh of my blood to his soul; and his soul shall never hunger nor thirst, but shall be filled” (3 Nephi 20:8). This could have provided a powerful visual for Nephites accustomed to drinking yellowish colored wines. Even if this is not the case, being aware of the different possible types of wine allows readers to better visualize Book of Mormon life. This is especially insightful with wine, since it is so frequently mentioned within the text of the Book of Mormon. John L. Sorenson, Mormon’s Codex: An Ancient American Book (Salt Lake City and Provo, UT: Deseret Book and Neal A. Maxwell Institute for Religious Scholarship, 2013), 307–308. Kirk Magleby, “King Noah’s Wine,” Book of Mormon Resources, November 12, 2011, online at (accessed April 5, 2016). 1. See 1 Nephi 4:7; Mosiah 22:7, 10; Alma 55:8–11, 13, 30, 32; 3 Nephi 18:1–3, 8; 20:5–8; Moroni 5:1–2; Moroni 6:6. 2. Wikipedia, s.v., “Wine,” online at Wikipedia.org (accessed April 5, 2016). 3. See John A. Tvedtnes, “Vineyard or Olive Orchard,” in The Allegory of the Olive Tree: The Olive, the Bible, and Jacob 5, ed. Stephen D. Ricks and John W. Welch (Salt Lake City and Provo, UT: Deseret Book and FARMS, 1994), 477–483. Outside of old-world writings of Isaiah (in 2 Nephi 13 and 15), and Zenos (in Jacob 5), vineyards are only mentioned twice in the Book of Mormon, namely in Mosiah 11:14 (regarding Noah’s novel expansion) and Alma 28:14 (in the metaphor “to labor in the vineyards of the Lord”). 4. See John L. Sorenson, Mormon’s Codex: An Ancient American Book (Salt Lake City and Provo, UT: Deseret Book and Neal A. Maxwell Institute for Religious Scholarship, 2013), 307. Sorenson uses “maguey” when talking about agave. 5. 2 Nephi 15:2 is a quotation of Isaiah 5:2. 6. Sorenson, Mormon’s Codex, 307. 7. Kirk Magleby, “King Noah’s Wine,” Book of Mormon Resources, November 12, 2011, (accessed April 5, 2016). Several different models place the land of Nephi in this area. See Sorenson, Mormon’s Codex, 131–133; V. Garth Norman, Book of Mormon–Mesoamerican Geography: History Study Map (American Fork, UT: ARCON and the Ancient America Foundation, 2008), 31 (no. 48); Joseph L. Allen and Blake J. Allen, Exploring the Lands of the Book of Mormon, revised edition (American Fork, UT: Covenant Communications, 2011), 404–405. 8. Sorenson, Mormon’s Codex, 307–308. Sorenson is citing Alejandro C. Martínez Muriel, “Don Martín, Chiapas: Inferencias económico-sociales de una comunidad arqueológica” (thesis, Universidad Nacional Autónoma de México, 1978), 102ff., 125. 9. Sorenson, Mormon’s Codex, 308. 10. Agave, banana, and pineapple all, unsurprisingly, produce a yellowish or cider colored wine.